You want to write but what should you write? What direction should your writing go? There is a phenomenal amount of material on the Internet about writing. When I first started writing, I read a lot of that material. I still read about writing now, though I am more selective about what I read these days. Some useful content is available for free. Some of the most prominent writing material functions like a funnel, telling you that if you follow their methods, you will become a successful writer. Some of these classes run into thousands of dollars. I can’t tell you which classes work and which don’t. But I would suggest that before you spend a lot of money on trainings, you need to get clear on your goals for writing. Becoming a best-selling author, making a lot of money, involves a lot of hard work and an enormous amount of luck. Like classes or camps on how to play basketball, you can learn a lot, improve your game, but no one can guarantee you will make it to the big leagues. What are the reasons you should write? Probably the best reason to write is to express yourself. If you have a story to tell or a point of view you would like to share, writing is an excellent way to express yourself. Writing can also be an excellent way to become clear about what you think and feel. Counselors often encourage their clients to write, commonly called journaling, as a way of clarifying their thoughts. Personally, one of the things I enjoy most in life is learning new things and then passing on what I have learned. Both teaching and writing are excellent ways to pass on the things that matter to you. Some writers do become famous, some make a lot of money, but both of those things are rare. If you’re planning to write for fame or money, there are other paths to your goal that are more likely to take you where you want to go. Here are some writing possibilities and why you might choose them. Recording your thoughts in a journal can be very useful. Over time you can see how your life, your thinking, and your feelings change. Journals are rarely meant to be read by others, at least not in the short-term. Private diaries have turned out to be valuable source material for historians. The great thing about a journal is that since it’s not meant for others to read you can feel free to express anything. Some people keep journals in written notebooks. Increasing journals are being written on computers and saved to electronic media. Writing your journal on a computer has the added advantage of being easy to password protect. Keeping your writings private avoids criticism from others. If you are high in anxiety or only want to escape the trolls on social media, consider writing in a journal. Leaving comments on blogs and book reviews. Some people exercise their creativity by writing book reviews. Authors who sell their books on e-platforms such as Amazon appreciate reviews. Your review may help someone else decide whether to purchase that book. Leaving a comment on someone else’s blog tells them people are reading what they write. Your comments are your chance to share your opinion and your personal experiences. Many people create screen names so that they can comment and still preserve the confidentiality. Some people begin their writing journey by publishing a blog. Writing a blog is extremely different from posting on social media. Just because you write does not mean anyone will read your posts. Creating a blog will require learning some technical skills. If you grew up texting, you might have an advantage over those of us who had to learn all these new technologies. To develop a blog with regular readers can involve some hard work, but seeing people reading your posts and leaving comments can be quite rewarding. I began my writing journey by creating the counselorssoapbox.com blog. In future posts, I’ll talk more about all the lessons I learned from publishing that blog. If you have knowledge in a specific area or are willing to do the research required, you may decide to write a nonfiction book. Getting your book published by an established publisher can be a long and challenging process. Many people today self-publish their books. Print on demand has made it possible to create your own paperback book even if you sell only a few copies. Publishing a book, either through a legacy publisher for self-publishing, does not mean the book will sell or that you will make any money. The process of publishing and marketing your book involves a lot of steps long after you’ve finished writing. I discovered I needed to learn many skills to get my finished nonfiction book from a completed manuscript into the marketplace. E-books have significantly increased the books available. Many authors today choose to self-publish their books in electronic formats. My self-help book Bumps on the Road of Life is available in both paperback and electronic editions. Eventually, I would like to tell you the story of how that book was created and how I continue to work on it. Hopefully, my experiences will help you write the book you were meant to write. Writing fiction, short stories, and novels. There’s always a demand for a good story. Many writers enjoy creating a tale. Some people publish these for free, and others try to make some money from their writing. It’s quite possible to write fiction stories under a pen name. The process of creating a novel is significantly different from the process involved in creating a nonfiction book. In Nonfiction, you need a good knowledge of subject matter, and the ability to explain that information clearly. When writing fiction, you need to master the skills of creating interesting characters, a believable and intriguing plot with surprising twists, and a great many other storytelling skills. It’s not surprising to find that a successful novelist has written 10 or more practice novels before completing the story that was finally published. Some people who have polished their skills at writing copy or editing, write for other people. You might ghostwrite a book for someone else, or you could write copy to sell a product. Some people also use their skills to help other writers by editing, professional reviewing, and proofreading. Communicating today has expanded far beyond written materials. Some people produce videos, and others produce screenplays to be made into movies or TV shows. While the resulting product can be visual or auditory and visual, there is often script the formed the basis for the finished product. Audio “books” are a fascinating innovation, while they are neither written nor tangible physical books they fill the same function. I hope this has sparked your interest. If so, please leave a comment. In future posts, we will talk more about my experiences along my writing journey. I have learned a lot along the way, some of it from painful mistakes, and I continue to learn. Stay tuned for more of the story of my writing journey. 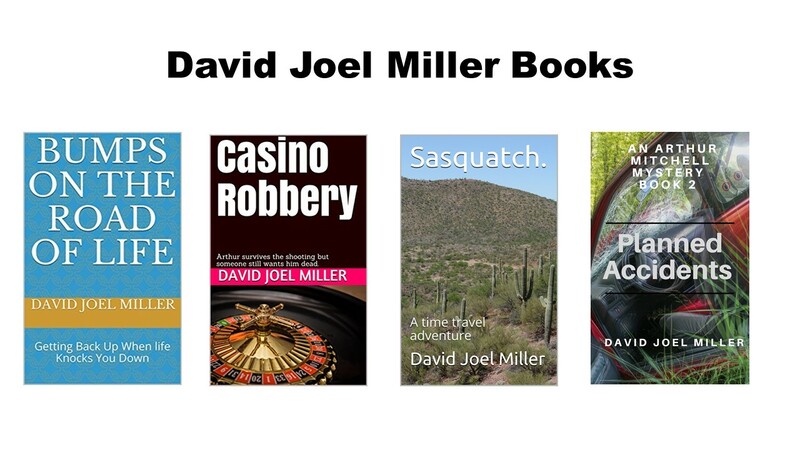 This entry was posted in Writing and tagged blogging, counselorssoapbox.com blog, David Joel Miller writer, publishing a book, starting a blog, Writing, writing a novel, writing a self-help book by David Joel Miller. Bookmark the permalink.